Some of you may know Robert Fulghum’s “All I Ever Needed to Know I Learned in Kindergarten.” He claims we learn the basics of life during this critical year in school. He claims we learn things such as how to share, play fair, to clean up after ourselves, wash your hands, say sorry, hold hands and stick together and be aware of wonder. And I agree. We do learn many of these things our pre-school/kindergarten years. However, what my kindergarten son is learning this year is way more important than anything on Fulghum’s list. We are blessed beyond measure that our children have the privilege of attending a Christian school. What we teach at home and what our children learn at church is reinforced and taught during their school hours every week. They are able to look at life through a biblical worldview, which helps them understand their purpose and their response to others. These little wee ones starting at 3 and 4 years old are learning and memorizing scripture day in and day out. 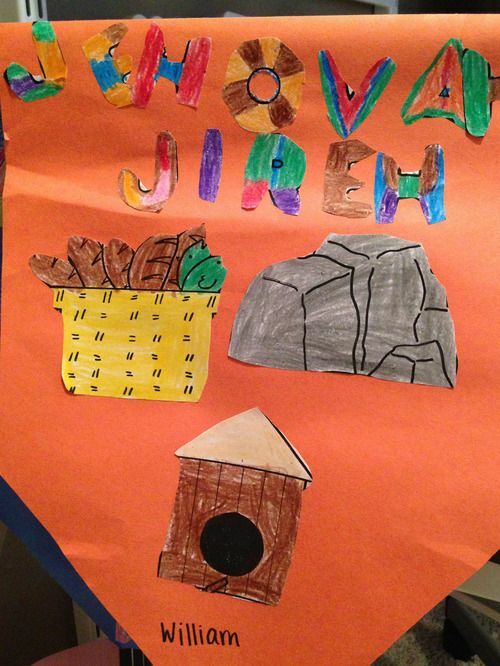 And what I love most is that this year in kindergarten the children are learning the Names of God. Every month or so, they learn one of the names for God. The teachers build their curriculum around the name of the month. These young children are building their foundation upon understanding the majestic, powerful and loving God that we serve. Not only is He a God who sits in Heaven, He is a God that has done and continues to do so many things. As I sat thinking about the Names of God today, I felt a nudge by the Holy Spirit that said, You know, not all of my own children know Me by name. Share this with them. And I know He is right. As I dwelt on this for a moment, I can’t help but think that the reason many of us fail to believe and acknowledge God is because we fight or disagree about whether or not He was or was not the Creator. Yet, He is so much more than just that. If we fail to understand Him intimately, we miss out on so much. A couple years ago, I heard Dennis & Betty Jo Conner speak (they have a prayer ministry called Called to Serve Prayer Ministry www.bahop.org). Betty Jo described how one time she felt led by the Spirit to re-evaluate the word “intimacy.” The Spirit had her change the word “intimacy” to “in-to-me-see.” You see, she explained, the only way we get to know Him is to understand Him and to see Him more. This seeing isn’t physical, but rather with everything you have. 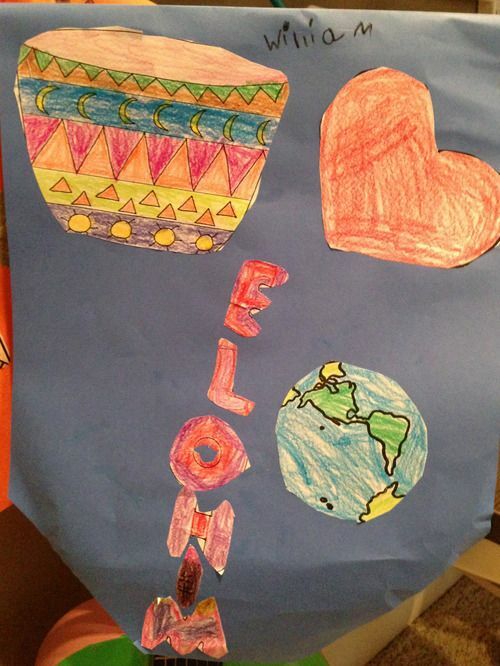 My son started out this year learning Elohim, which of course is the most important attribute of God. Without Elohim, there would be no creation. “Elohim” means the Creator. (see also Genesis 1:26-27, 31; 2:19, 22; Psalm 139:13-14; Isaiah 40:28; 43:7, 21; John 1:3; Colossians 1:16.) Elohim appears over 2,000 times in the Old Testament and is found in the beginning…Genesis 1:1. His class then moved on to Jehovah-Jireh. I loved this lesson because now my six year-old loves to clarify the difference between a need (which we actually have very little need of anything to survive – food, clothing, shelter) and a want (of which we have many). “Jehovah-Jireh” means the Lord Will Provide. In our flesh, we tend to cry out to creditors, friends, family, medical staff, etc. for our needs when in fact, the first person we should go to for anything is Jehovah-Jireh. He provides everything and all we need. (see also Genesis 22:8, 14; Isaiah 31:1; John 3:16; Philippians 4:19; James 1:17.) He is our great Provider. And of course, befitting this time of year, they are learning Emmanuel. “Emmanuel” means God With Us. Emmanuel represents God coming to this Earth in the form of man (Jesus)…a perfect picture of the divine incarnation. (see also Isaiah 7:14; Matthew 1:23.) Yes, He loves you that much! God also has many other names and it is not because we worship many gods like some other religions, but because God serves many purposes. He has an entire universe – His entire creation to take care of! It is important that we understand, intimately, who God is and what He does. Once we understand that, we get a better understanding of our role in this world. We better understand that it is not about us, that there is a greater plan, and that there is someone in total control (and for the control freak in you, I hate to break the news, but it is not you). Here’s a snapshot of some of the other names of God…. Jehovah-Nissi – means the Lord Our Banner. This name appears only once in the Bible. In Exodus 17:15-16, Moses built an altar to God representing the fact that Moses recognized that it was because of God, and only because of God, that the Israelites were able to defeat the Amalekites. Perhaps we should all carry this banner around and our homes should fly this as well. I know this is a lot of information, but just for a moment, think how you feel when someone addresses you by name – not so-and-so’s mom, or so-and-so’s child or so-and-so’s spouse, but actually calls you by name. There is usually a little more depth to that relationship, correct? Well, that’s exactly how it should be with God. Sometimes, we need a healer and that’s all we need at that moment. Cry out to Him as Jehovah-Rapha because if you’re being honest, aren’t some other things just less important at that point? God is more than just our generic God. The more time you spend intimately getting to know Him and understanding what He has done and what He continues to do, your relationship blossoms. Out of this intimate relationship, stuff happens. Good stuff. He is all you need. He has it all covered. Get to know Him…I mean really know Him. I promise, it will be well worth the time!